Coastal inspired jewelry, gifts, home decor, souvenirs, toys, books and much more. 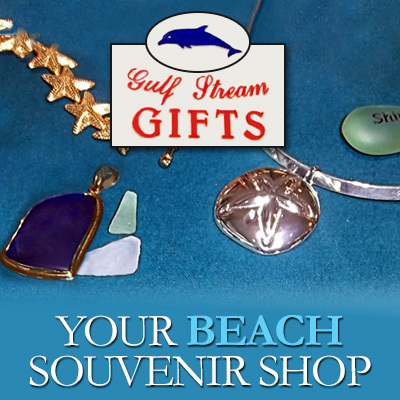 We are a friendly contemporary gift shop specializing in gold, sterling silver and casual coastal jewelry, home decor, books, prints, artwork, glassware, souvenirs and smiles. © Gulf Stream Gifts 2019. All rights reserved.